Siemens has been a respected and trusted brand in the hearing industry for many years. Now owned by Sivantos, who also own Signia, they have kept the Siemens name for many of their products and remain committed to the original vision. Hearing Aids by Signia – The newest hearing aid releases, noted by the Nx in their name, include the traditional behind-the-ear style, as well as two models featuring a receiver-in-the-canal design and a full line of in-the-ear styles to accommodate for every need and personal style preference. The models include Stiletto Nx, Pure Nx & Pure Charge & Go Nx (a rechargeable model), Motion Nx, Insio Nx (custom in-ear models), and Silk Nx (instant fit). Recently, a feature called TeleCare 3.0 was introduced by Signia, which allows you and your hearing specialist to have more control over your devices without needing to visit their office. TeleCare 3.0 lets your hearing specialist monitor the status of your hearing aids and make remote adjustments. The Pure RIC model provides CROS/BiCROS features to help those with deafness in one side. The Motion BTE model allows you to utilize direct audio input, perfect for individuals who use FM systems in their lives. Both the Pure RIC and Motion BTE models allow the option to include a rechargeable battery to help eliminate the need to change them. This is great for those who have vision or dexterity issues. All Signia hearing aids can be discreetly controlled using your Android or Apple smartphone. 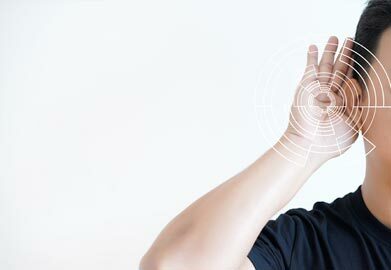 Tinnitus Features – Many Sivantos hearing aid products have programmable tinnitus functions, such as therapy sounds and notch therapy to help individuals mask or acclimate to the tinnitus. This applies to all of the new models. Your hearing specialist can help you to determine the most appropriate setting for you. Other Siemens Hearing Aids – Siemens has an impressive legacy and is one of the most recommended brands of hearing aids, Their Prisma, Signia, Triano, and Micon products have been used by many individuals to improve their hearing. Siemens And Signia ALDs And Accessories – Along with their hearing aids, Sivantos offers assistive listening devices, or ALDs. There are also different remote-control options including a physical model and a digital remote used with your smartphone. All Signia models support the ability to stream audio from MP3 devices, mobile phones, computers, and televisions directly to the hearing aid, and Sivantos carries the easyTek to assist with streaming. The hearing professionals at Bravo Hearing Centre in Etobicoke know that your hearing is essential. For this reason, we strive to provide you with the best advice and product recommendations to improve your life. Our team is committed to providing services and support based on the individual needs of each patient. For more information on the services and solutions provided by the specialists at Bravo Hearing Centre, please see our hearing services page or contact us at 647-694-4626.